Jhené Aiko, who recently rang in her own thirtieth birthday while at SXSW, is sharing the love this month. Sunday (March 25) marks Big Sean's 30th birthday, with Aiko taking to social media to properly celebrate him joining the dirty 30 club. Taking to Instagram, the Trip singer happily flooded her Instagram feed with a gallery's worth of photos, captioning one of the posts, "Welcome to 30 Sean. U keep getting finer and finer. I love you." The public birthday love comes just a couple of weeks after the two had to debunk cheating rumors online. While today is all about Big Sean entering his thirties, the rapper himself has been dedicating his time to helping others, recently announcing plans to build a luxury movie theater in his hometown of Detroit. 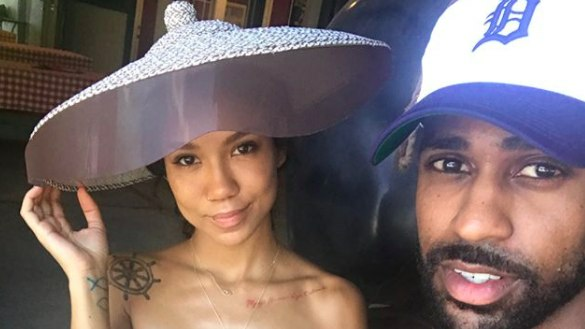 Take a look at Jhené Aiko wishing Big Sean a happy birthday, below. im so glad u were born ❤️ happy birthday! !